Jeremiah’s seizures began when he was a newborn. We adopted him from foster care, so he wasn’t with us then, however he had the “shaking seizures” after he was born and then again a month or two later. He came to us at three months and we didn’t see anything unusual, indicating a seizure until he was about three-years-old. Somewhere along my trek through Autism, I heard about Autism and seizures being synonymous at times. 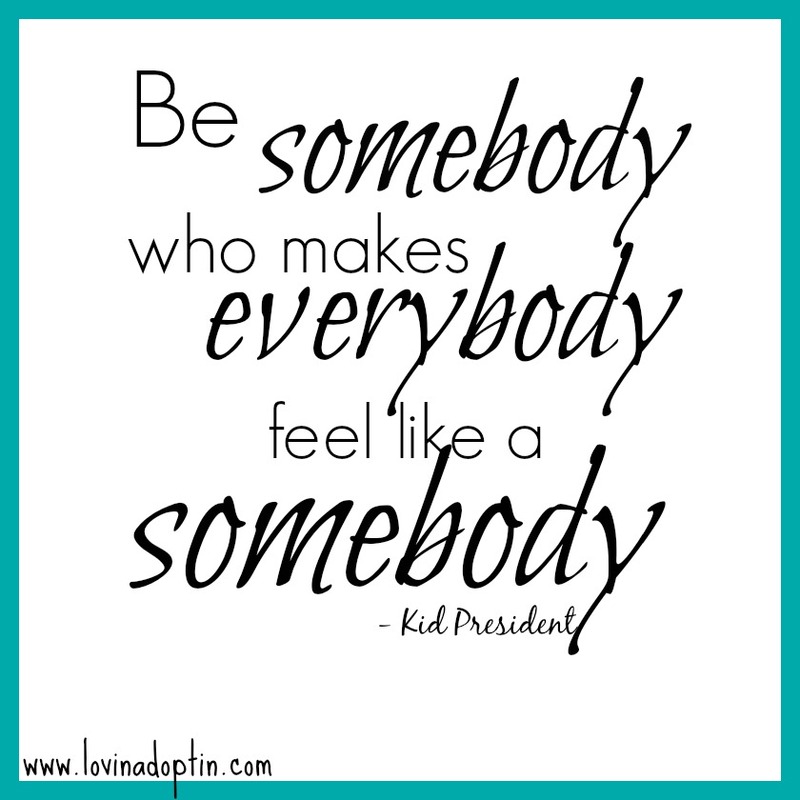 I heard this in correlation to children with Autism losing their skills or regressing. Jeremiah has always gained skills and regressed, it’s been the story of his life. Does he say, “Hi”? He used to. He also used to…but now he…Gaining and losing, gaining and losing. When he was three-years-old I heard this terrified cry come from his room. I quickly went and opened his door, and he looked so frightened. I’d never seen that look before. He’s nonverbal, so he couldn’t tell me if it was a nightmare, but he was acting strange, and it didn’t seem to me to be a scary dream. After that he really regressed. I was sure he’d had a seizure. 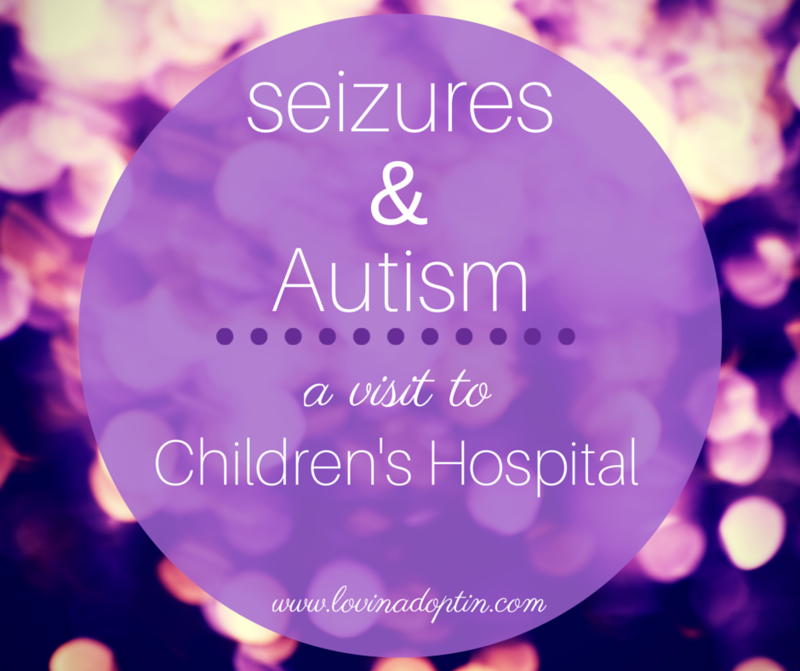 We then had an EEG done at our local hospital, the goal was to asses whether there was any seizure activity. It wasn’t a good experience. First, Jeremiah doesn’t do well when outside of his routine, so going to the hospital was one of those “Oh no, what in the heck are we doing?” adventures. Rough. Second, they had to place all these sticky do-dads on his head (sorry don’t know the medical terminology). Yeah right. He doesn’t like anything on his body that isn’t supposed to be there; dry skin peeling off his lips, a band-aid, etc. So he yanked at those wires which hooked to the sticky do-dads with a ferocity you wouldn’t believe. Third, he didn’t understand why we were there or what they were doing to him. So, after forty-five minutes of crying, screaming, and panicked writhing (my sweet husband got quite beat up) Jeremiah passed out from exhaustion. The techs only ran the test for another ten minutes and said that’s all they could get. Really? All they could get? Since they have twenty-four-hour and seventy-two-hour EEGs I would imagine they could’ve run the test a little longer, but they were exhausted themselves and wanted to be done. The end. Those results came back inconclusive, meaning while he was asleep for ten whole entire minutes his brain didn’t show any seizure activity. Shocker. Fast forward to August 24. This time we witnessed a seizure. Problem being it didn’t click that it was a seizure for quite a while. Jeremiah was playing in the back yard and his sister was, well, crying over something. Justin and I were cooking and Justin left to bring Payton inside, he noticed that Jeremiah was standing in the backyard not doing anything in particular. This happens sometimes. Payton continued crying, we were trying to get dinner on, and Justin called for Jeremiah to come inside. Usually if we tell him to come in and eat, he will, but this time he didn’t move. Justin stuck his head out the door again and called to him, and Jeremiah didn’t move. So, Justin went out and picked Jeremiah up and brought him in. He stood him on the chair where he always stands, he was facing the back of the chair. We continued to work on dinner and Payton continued to cry. I couldn’t get him to stop staring into space. Justin picked him up, his body was rigid, and we took him to the couch and undressed him, thinking he’d been bit by something outside and was having an adverse reaction. We weren’t getting any response or looks from him, he was breathing but just wasn’t there. We turned on his favorite movie to see if he’d look at it, and he did eventually turn his head. Jeremiah then curled up in Justin lap in a fetal position and shoved his fists into his eyes.The rest of the evening he was exhausted. It was somewhere after checking his body for any indication of a reaction that I realized he might be having a seizure. I knew he’d had them before and that correlation with Autism is there. There are also seizures known as petit mals or absence seizures where someone will stare into space and their body becomes rigid, you can’t get them out of this state until the seizure stops. Now I knew what had happened. Problem was, this lasted seven to ten minutes, much longer than a petit mal or absence seizure. Jeremiah’s doctor referred us to a Neurologist at Children’s Hospital. I was worried because we’ve had more hospital visits go awry than just the one I talked about above. 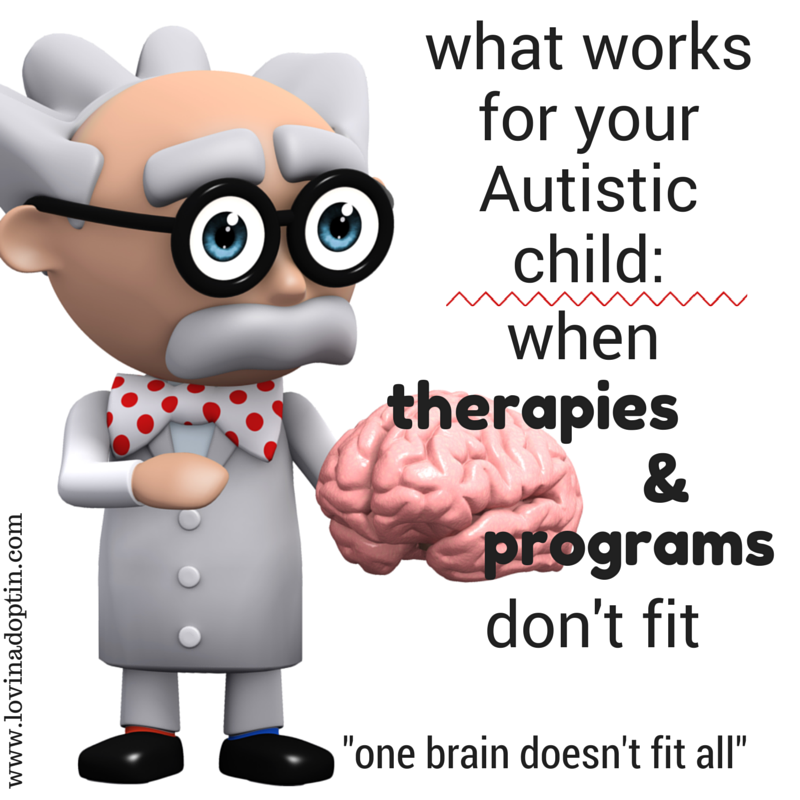 HIs doctor reassured me, “It’s Children’s, they deal with this all the time.” The “this” meaning Autism. I think. The chats with the scheduling nurses before we arrived left me strongly disagreeing with Jeremiah’s doctor. They didn’t take Autism into consideration when scheduling his EEG he was to have at Children’s – which they failed to notify me of. Whoops. When I found out, I said an hour-long EEG wouldn’t tell them anything, and we’d already been there, done that. So, got that worked out and figured we’d have to make another five-hour trip to the hospital soon after this Neurology appointment. We arrived a little early on Friday morning. I watched as children filed in and out of Children’s with their parents. I was completely struck by thoughts that these children were sick, many of them worse than Jeremiah. Our seizures and our Autism are nothing compared to what these families are facing. Some are worried every moment that their child won’t make it, that this is all they have. For many the seizures are worse, occurring multiple times a day and the child is convulsing, while the parents are filled with fear far more often than I. The appointment went really well. We heard exactly what we wanted. Jeremiah doesn’t need medication unless the seizures increase in frequency or longevity. We have an emergency “pin” with medication that we’re to administer if the seizure lasts longer than five-minutes. 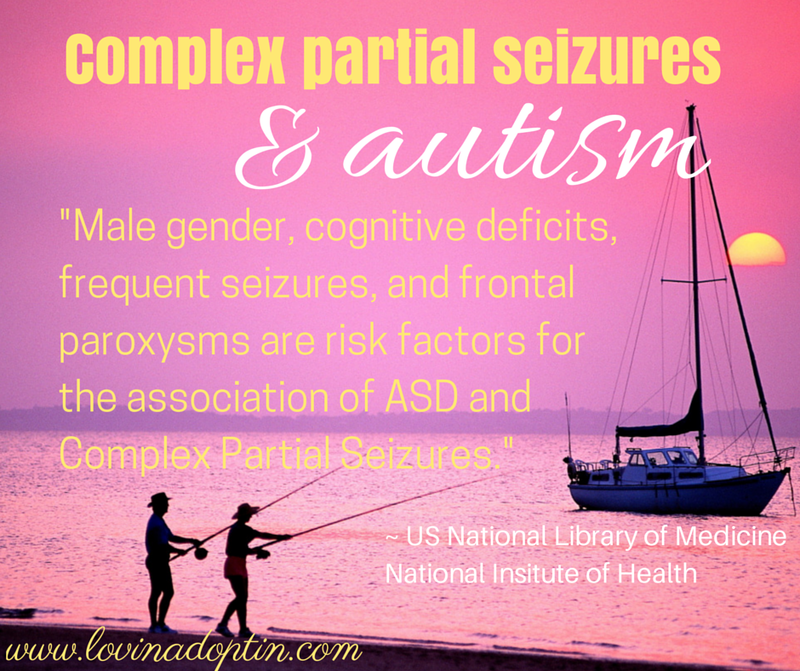 They diagnosed them as Complex Partial Seizures. The emergency “pin” relieves my anxiety a great deal. To know that I can do something if Jeremiah has a seizure, helps tremendously. It’s so much better than standing around wondering how to make it stop. Some other great news is that for now, no EEGs need to be conducted. Yay! You can’t imagine the relief. Well, if you have an Autistic child you might be able to imagine. I don’t want to go through that again. Ever. Since they know he’s having seizures they feel it would be pointless at this time to run the test. The coolest part was that the Nurse Practitioner understood Autism and referred to us anytime she needed to do something with Jeremiah, she even said she didn’t mind if I took the measurement of his head. (Bad idea, she didn’t know i’m horrible at math. ;)) The other awesome part was that the Neurologist offered to take Jeremiah out into the hall while we chatted with a nurse and learned how to administer the medication. The doctor wasn’t young and Jeremiah is fast, but he seemed to be enjoying himself, just chillin’ with Jeremiah – or running and chasing, whichever. To be somewhere and have the medical personnel understand Autism was so reassuring. They all knew about Sensory Processing Disorder, didn’t even ask me to put the admissions bracelet on his arm. We got some answers and although I feel our life is far more complicated than most, I was reminded that it could be worse. A lot worse. If you’d like more information on Complex Partial Seizures, you can check out the Epilepsy Foundation. I also found this article that talks about Autism and it’s relation to Complex Partial Seizures. 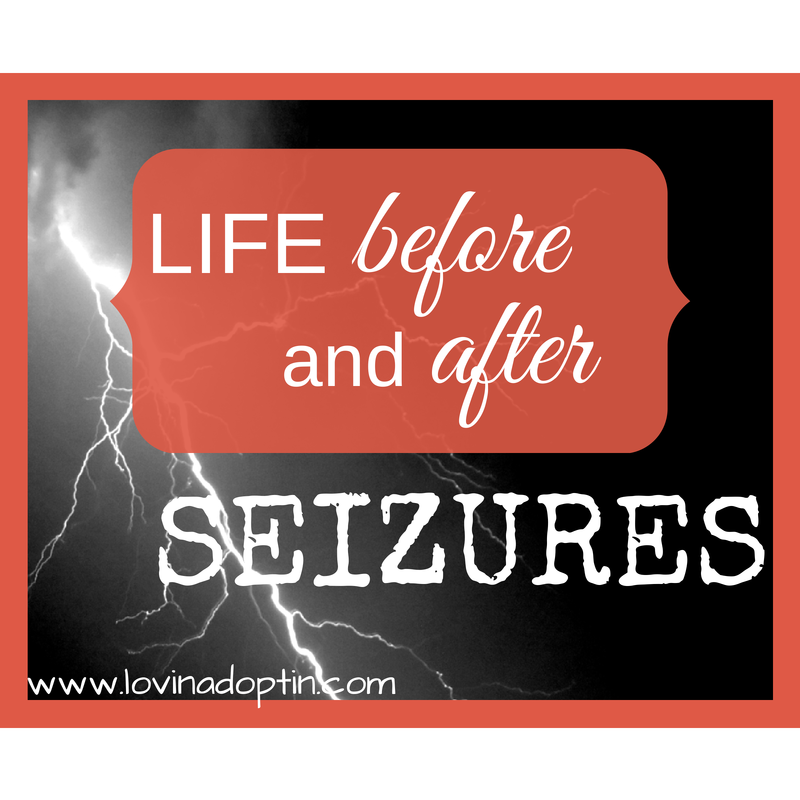 Does your child have seizures? How do you feel about them? 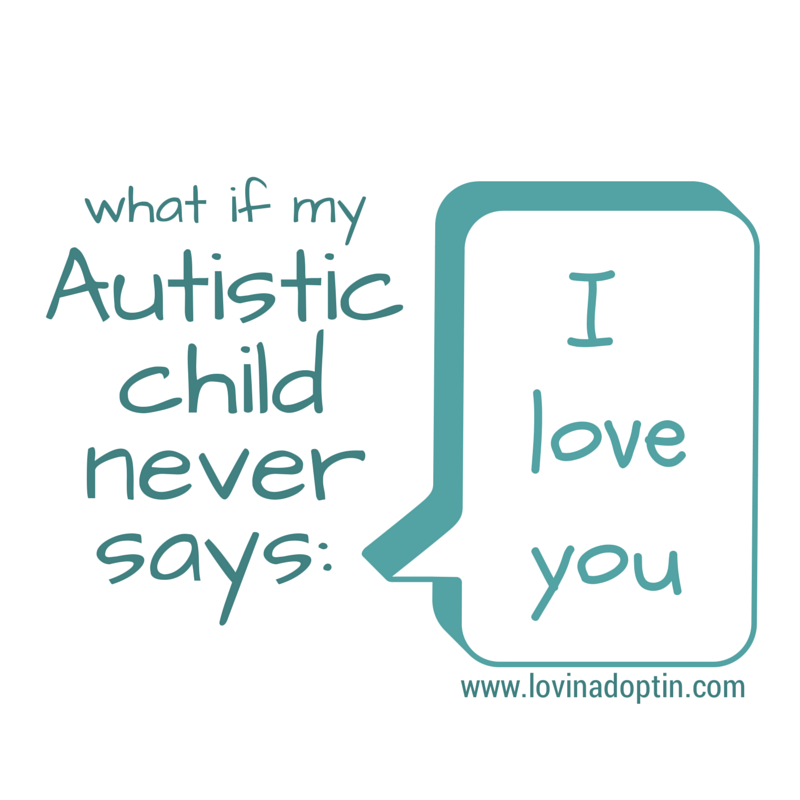 what if my Autistic child never says, “I love you”? 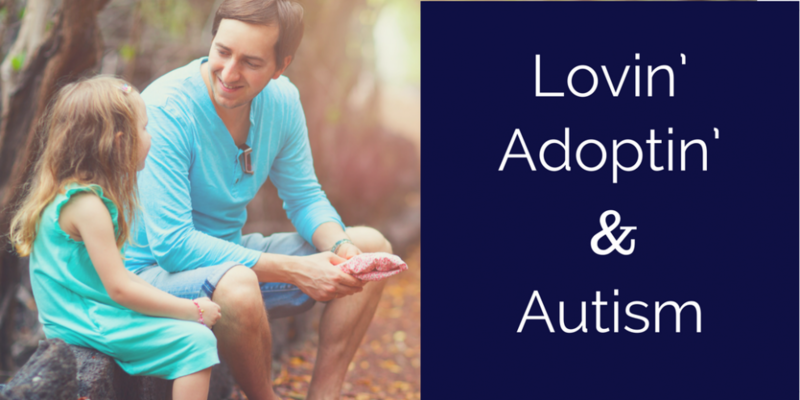 When a child is diagnosed with Autism, often times there’s a grieving process for the parents. Their original expectations are drastically altered, sometimes in one moment, sometimes over the course of months or years. Grieving is important, if we don’t acknowledge how we feel about something deep at the core, we will never truly deal with it, and it may spring up at another inopportune time. I’ve heard many Autism parents grieve the fact that they may never hear their child say, “I love you.” Like I said, grieving is okay, I understand it, I felt the same way, I said those words. I was saddened that I wouldn’t hear my son, Jeremiah, tell me those words every mom wants to hear. But then it changed. I was in the “poor me” mentality. While there’s a time and place for those feelings for some of us, it’s just that, a time and place for them. There are many moments when I’m frustrated, when I wish Jeremiah could tell me what he wants so he isn’t hitting me, banging his head against me, or trying to scratch me out of anger. I wish there wasn’t regression, I wish that if I stopped teaching and directing for one day that Jeremiah would still follow the “rules” of the house. I grieve for myself, that I don’t have down-time when I desperately want it. I grieve because no one seems to completely understand the life we live. But life with Autism is so much richer when I see the wonderful, and there is an abundance of wonderful. I can acknowledge those frustrations and grieve, then I need to move on and recognize what’s beautiful in him. At some point in my journey through Autism, I heard an Autism mom say, “My child says ‘I love you,’ it’s just in his own way.” She was right! This was a profound moment for me. A moment I was looking for, yearning for, was already in front of me. Jeremiah was already telling me he loves me, I just wasn’t listening. This was my problem, not his. Can I tell you the joy I felt? The angst that was lifted from my heart? This has happened on more than one occasion, this heavy feeling of “He will never” being lifted from me and being turned into something beautiful and special. Yes, there are obstacles that come with having a child with special needs, but there are also so many exceptional moments, and life lessons we learn that no one else gets to. When Jeremiah (age five) does something he’s never done before, something that an infant or toddler might do, it’s euphoria. I experience moments no typical parent witnesses. When Jeremiah laughs at something someone said, it’s pure joy. When he communicates by leading me by the hand or using my hand to point to something he wants, I’m elated. See, Jeremiah does communicate, it happens to be in a different way than a typical child. 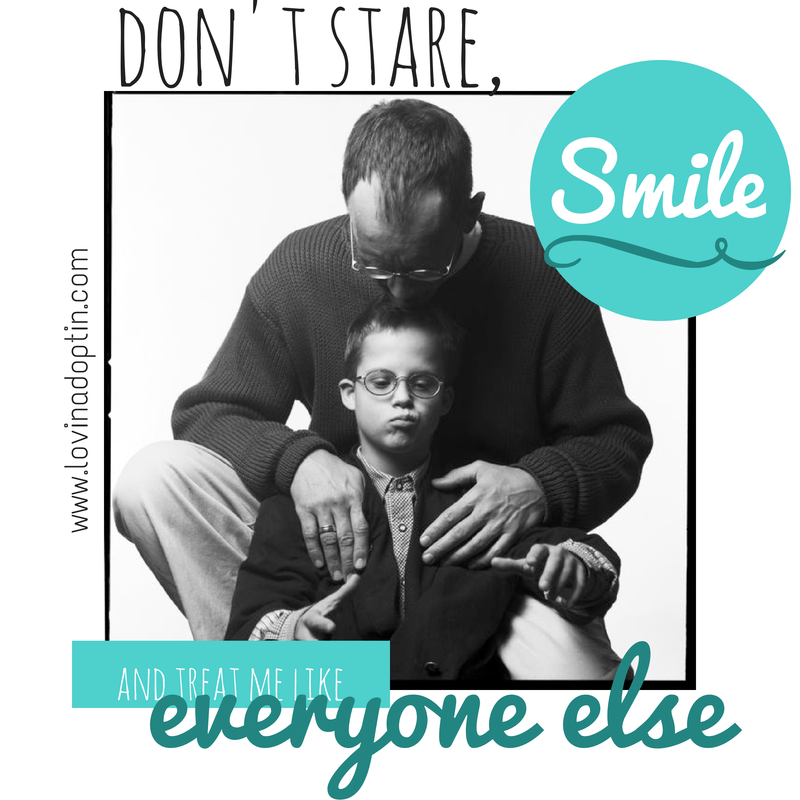 He tells me he loves me every day when he “asks” me to do something for him, when he smiles at me, when he laughs at the silly nickname I’ve given him, or when he sits in my lap. In all of these moments and so much more, he’s telling me he loves me. Not all of you have a child who will hug you, or look you in the eyes and smile, or respond with a grin when you say his nickname, but I hope you can find the ways your child tells you he loves you. An Autistic adult made a list of things typical people should just assume about the Autistic individual. I’ve tried in vain to go back and find who wrote it, but can’t, however, I do know it was written on an Autism Facebook page that supports positive thinking in regards to the disABILITY. On the list, she wrote that we should assume that the person who has Autism loves us if we love them and show them we care and love them. 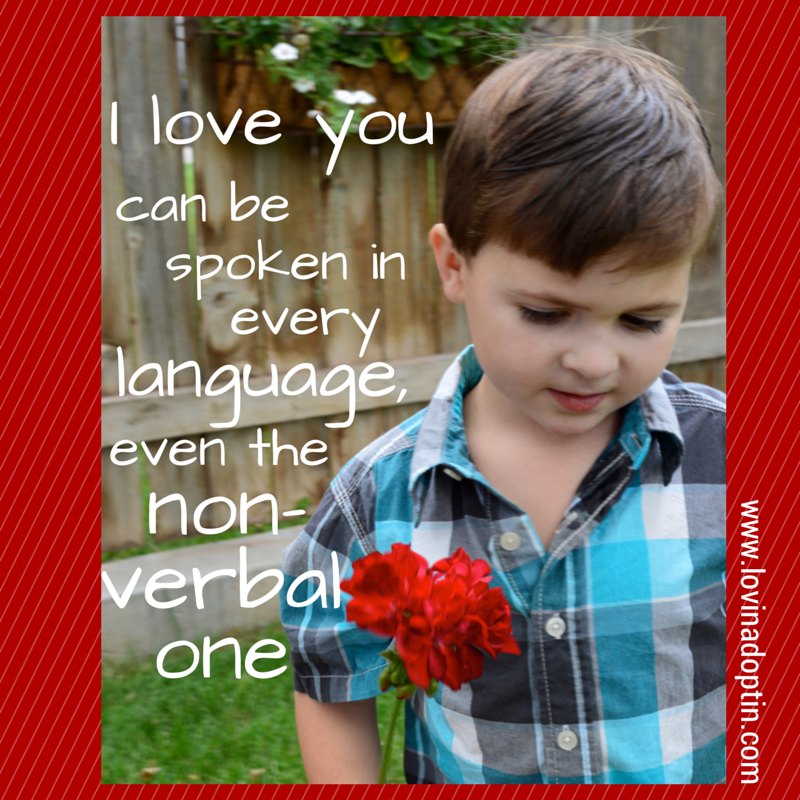 How does your child say “I love you”? Please feel free to share this article if you know someone who would benefit. *A note about my terminology. Autistic vs. Has Autism – In the adult Autistic community I’ve heard it said countless times that they prefer to be called Autistic. 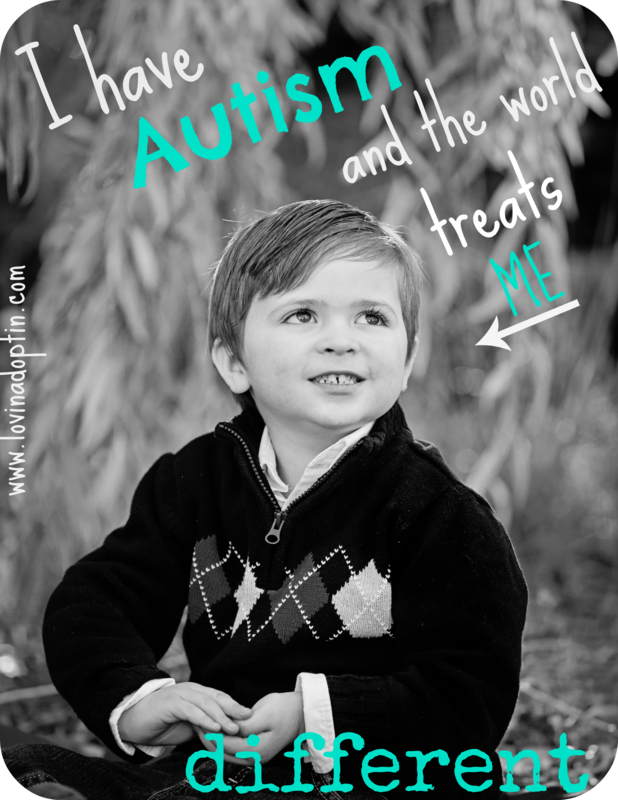 The parents of Autistic children say “use person first language.” I respect the Autistic adults opinion, as they are the ones living with what my son has. I also understand where the Autism parents are coming from, I felt the same way. 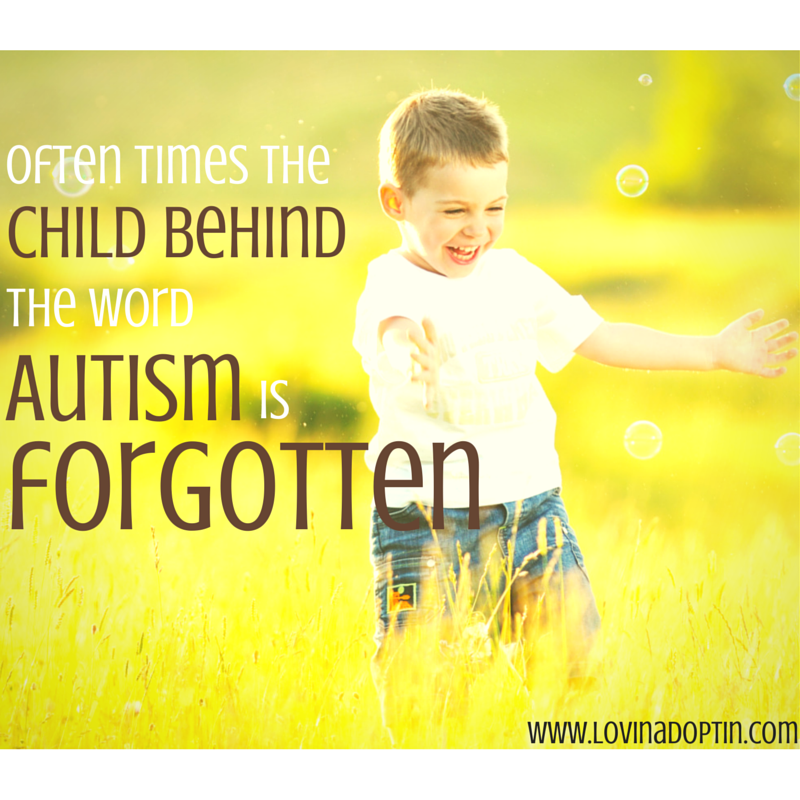 I used to only us the phrase, “My son has Autism,” but I know use both references interchangeably. I don’t feel there’s a right way or wrong way. I get tired of not being able to celebrate my sons birthday like every other child. No party, except family, because it would wig him out and he’d hate it, not a big to-do because he wouldn’t notice. So, I at least wanted the cake. I did the cake. He smelled the cake, because, well, that’s what he does. He smells most things he comes in contact with. It’s cute…for now…at age five. 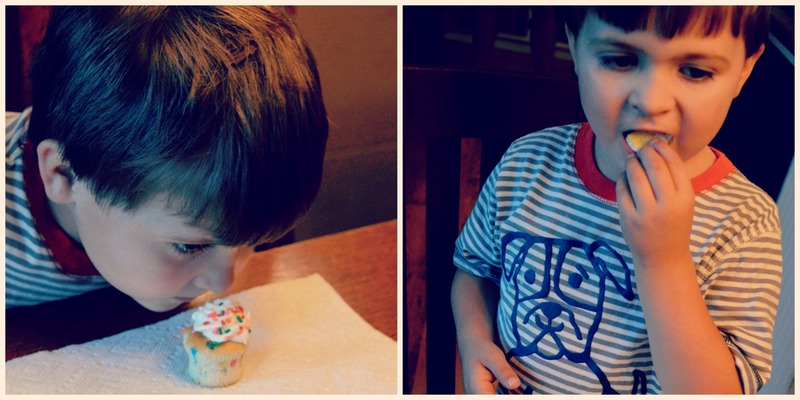 He smelled that cupcake, and actually licked it which was quite a celebration, he then got down from his chair, went to the fridge, opened said fridge and got out the eggs. He wanted a fried egg, so fried egg is what he got! Happy Birthday with a fried egg. That’s him on the right, eating an egg. This is our life. Life is good. We find the good. Autism + seizures = parents on edge, constant concern, and questions, questions, questions. When Jeremiah was an infant he had seizures, he’s adopted and after he came to us we never saw more evidence of seizure activity. That was until he was about two-years-old. One night we woke up to this frightened cry, when we opened Jeremiah’s door, he toppled out crying, terrified, and shaking. Now, some could say it was a nightmare or a night terror. It felt different, I can’t explain it, but my Mommy instinct knew it wasn’t a nightmare (more about that later). Plus, afterwards he had significant regression in his abilities and understanding. Until last week we hadn’t noticed any more seizures, but the thing is, there are absence and petit mal seizures. This means there’s no shaking, and they can often be invisible. www.rightdiagnosis.com says, “[In the case of petit mals] The person will stop moving or talking and stare into space for a few seconds. Some muscle jerking and twitching may also occur. Once the seizure has passed the person recovers quickly and carries on with what they were doing with no memory of the episode. These seizures can occur occasionally or very frequently, hundreds per day in some cases.” These seizures usually last around thirty to forty-five seconds. When Jeremiah had the episode two years ago, this is what they thought might be happening. Last week he had another seizure. It was frightening. Both kids were in the backyard and Payton was having a meltdown because she’d been asked to do something, and in her mind, she wasn’t able to complete the task. Jeremiah was out in the grass staring at her, not too odd because he’d really been paying attention when she’s crying lately. Justin brought Payton inside and called for Jeremiah to come in, but he didn’t move. Justin waited a minute and stuck his head out the door again, calling for Jeremiah to come inside and eat. Jeremiah usually responds well to this, but he still didn’t move. Justin went outside and picked Jeremiah up to bring him inside, at that time he didn’t notice, but he would later realize that Jeremiah was stiff when he’d carried him in. Justin and I both had our attention averted elsewhere, on making dinner and on the girl who was throwing a fit about something ridiculous, so we didn’t notice until a little later that Jeremiah hadn’t moved on his chair. Justin had placed him on his chair standing, holding the back of the chair, because that’s what he does all the time. Finally it clicked that Jeremiah hadn’t moved and was still standing where Justin had placed him. We quickly went to him, I felt his arms and there was a slight tremor in them and he wouldn’t look at me (as opposed to some people with Autism, Jeremiah will look at us when we talk to him) and was staring off into space, he wasn’t there. Justin picked him up, took him to the couch and began removing his clothes, we were thinking he’d been bit by something and it was causing an adverse reaction. We checked his entire body, but didn’t find anything. Everything was so muddled, there was screaming in my ears, FEAR. At some point I realized that he may be having a seizure. He then curled up in Justin’s arms in a fetal position and shoved his fists against his eyes for a minute or two, I don’t know how long, time drags when you’re terrified. We then started his favorite movie to see if he would turn and look, and he did within a few seconds. That was a relief! I held him in my lap, wrapped him in blankets and he stared at the t.v. The seizure itself lasted about seven to ten minutes, which the doctors would later tell us was far too long to be a petit mal. He finally did come around to fairly normal, but we were fearful the seizure would cause regression, because that’s what happened the last time he had one. All we could do was wait. And wait. And wait. That day at home was near normal, but we still needed to see what he’d do in different situations and assess whether he still understood as much as before. As days passed we knew he was where he’d been before. Thank God! The doctor is referring us to Children’s Hospital, which will take a few weeks, or longer since she forgot to put the referral in. He may need to have a twenty-four-hour EEG done, which makes me extremely nervous. But, I would really like to know if he’s having seizures more often than what we realize so we can do something about it. He’s had so many major regressions in his short life that I’ve always wondered if seizures were the cause, for a long while I was convinced. Yet, his skills and understanding have only grown in the past several months, so that’s wonderful. The reason an EEG makes me nervous is because we’ve been through it before. After that episode about two years ago where I was sure Jeremiah had a seizure, they sent us to the local hospital for an EEG. No preparation was made for a child who has Autism, and it was a horrendous experience. Just try to take an Autistic child to the hospital, put them in a strange room, with strange people, then place dozens of sticky electrodes to their head, and have them relax while the brain is read. HA!!!! He screamed and writhed, livid because of what was being done, confused because he couldn’t understand what in blazes was being done to him. He screamed and fought until he fell asleep, but the techs were so irritated that after he’d only slept for ten minutes they decided to end the test and took the electrodes off his scalp. No evidence of seizures, because, see, the person has to have a seizure WHILE the test is taking place. So, here we go. 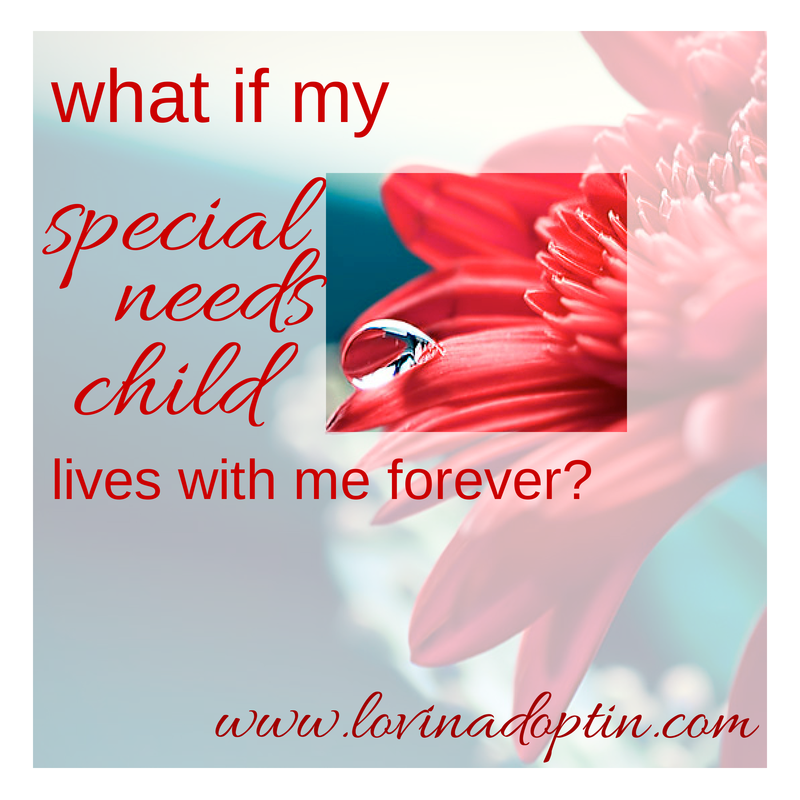 I thought that with my rare disease flaring up, and Autism, and my husband owning his own business life was full enough. Guess not. 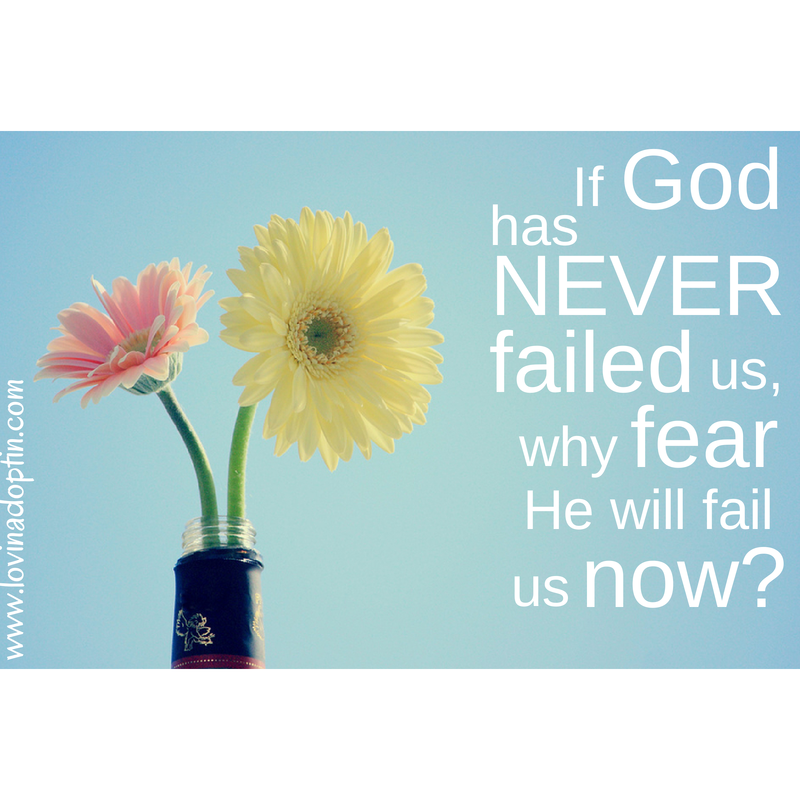 However, I’ve seen God carry us through the really tough, the impossible, and I know He won’t fail us. 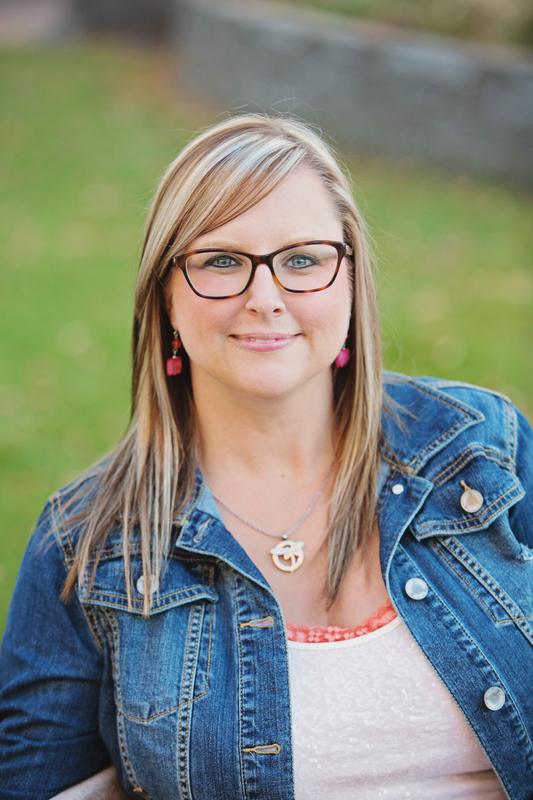 *Another great example of seizures was shared this week by Faithful Mom of 9 on her blog, you can read about how her daughters seizures presented here.